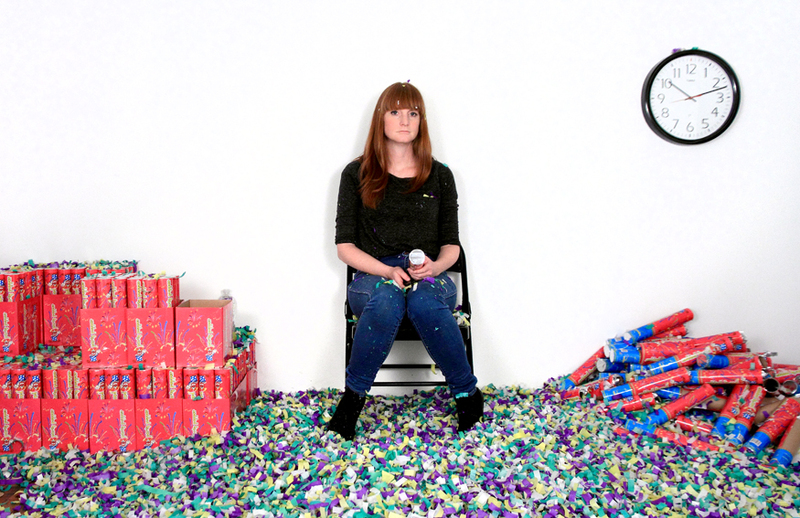 Waiting For Time (7 Hour Confetti Work) was a live video performance, streamed between the artist’s studio in New York and the Gallery of Modern Art in Brisbane on Saturday May 10 2014, 10am - 5pm, Australian Eastern Standard Time. Corresponding with one day of museum opening hours, the performance involved the artist setting off one, hand-held confetti cannon for every minute of the seven-hour duration, the action comprising of little more than waiting for the passing of time. Referencing the history of endurance performance, and the now outdated idea of the standard working day so integral to the advent of “clock time”, the performance explored compressions and expansions across time and space. Locational and temporal fixity of both performer and audience were skewed as space contracted via the screen and multiplied out through the web; the artist performing in her time while the results were made visible in another. 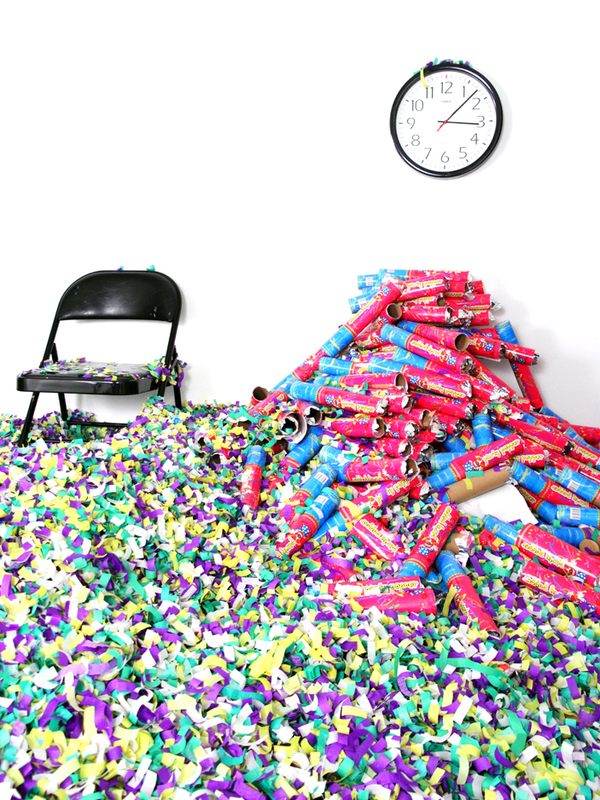 In Waiting For Time (7 Hour Confetti Work) the artist both became a clock as well as being a slave to it, repetition rendering an ordinarily short-lived moment of celebration absurd, with the excess, beauty and violence of the confetti explosions serving as little more than a marker of time. This performance was viewable live on Youtube for the duration of the stream. For access to the full 7 hour video stream please contact the artist. This work was awarded the 2015 Churchie National Emerging Art Prize.